by Diane Conway Author · Anne Lamott Author of introduction, etc. 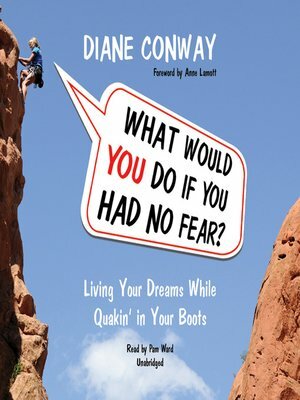 Diane Conway is a popular inspirational speaker, workshop leader, and comedian who lives her dreams while quaking in her boots. She's appeared on British and American television, in comedy clubs, and in plays like Tony n' Tina's Wedding.